A French Cross race is basically a race on grass and dirt roads. In the winter, it will be running in muddy puddles and you got to wear running shoes with spiked lugs. 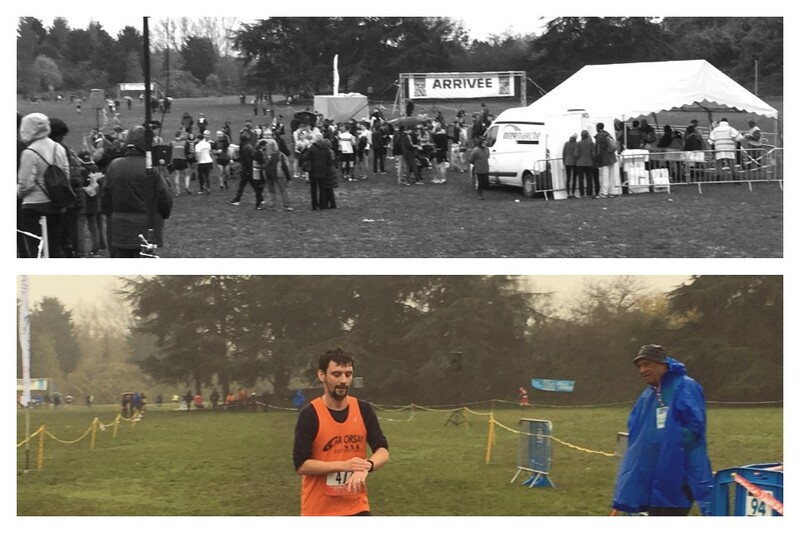 Silviu and I both participated in our first winter cross – Cross International du Val de Marne. I was in the 5490m (5.6km/37m/D+ per Strava) female route. It comprised 1 turn on each of the small, medium and big rounds (lots of zig-zags in each round) in an urban park. Silviu was in the longer 7km male route. There were a few short slopes, bit of mud, lots of grass…nothing too technical. Yet, right from the firing of the starting gun to arriving at the finishing line, my lungs were bursting and throat was burning throughout the 28’52” (Fastest: 21’03”).